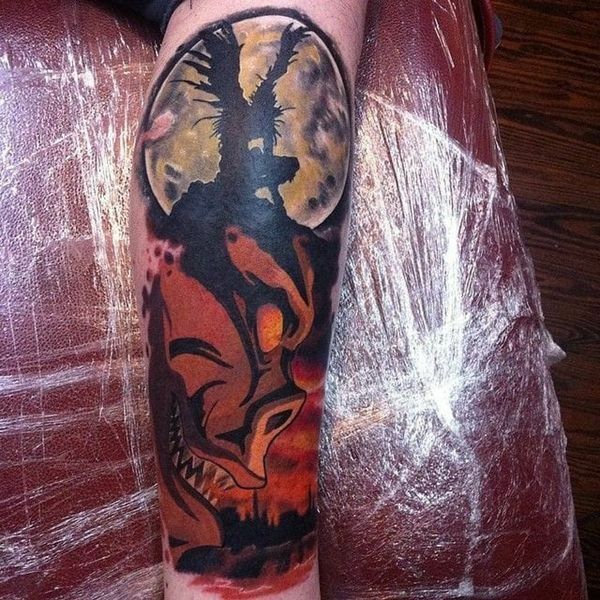 Tattoos are a 50 billion dollar global industry, growing by the double digits annually. 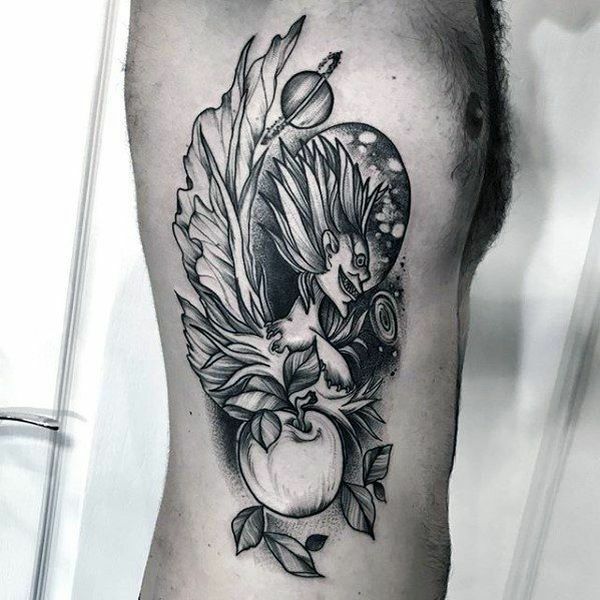 Tattoos are meant to give the world a small glimpse into the inked person or evoke a cherished memory for the person with the tattoo. 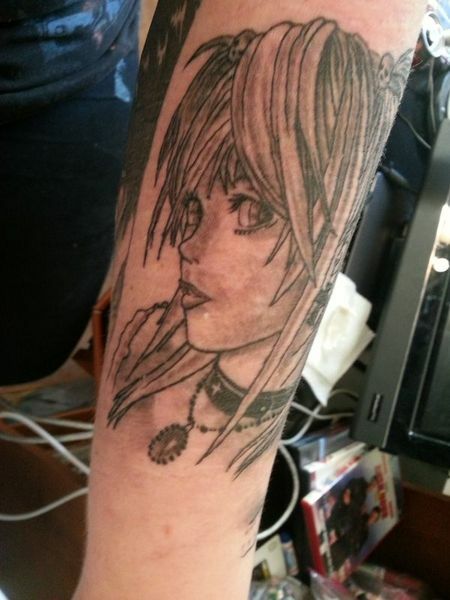 Statistics show that almost half of all adults under the age of 30 have a tattoo. 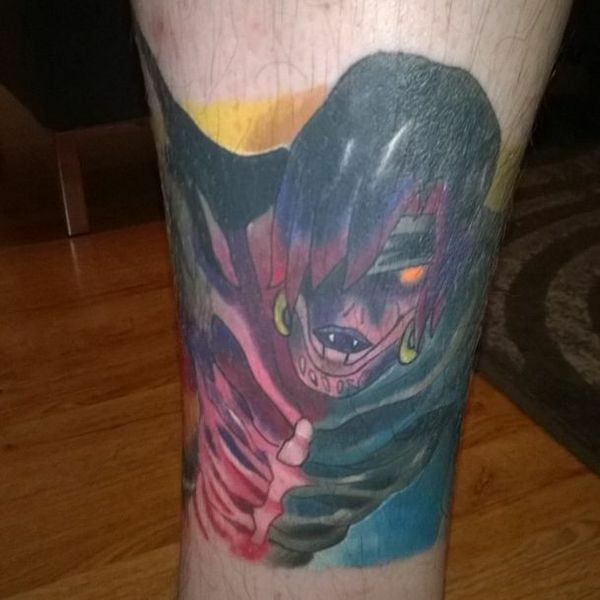 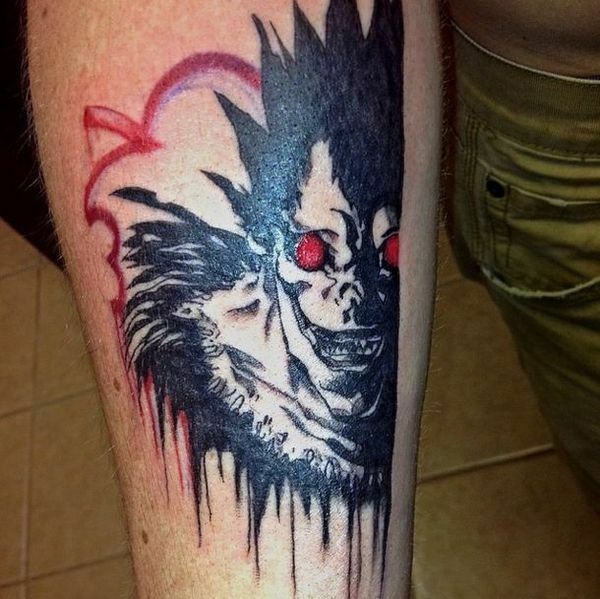 Many younger people are choosing tattoos from popular culture, such as comic books and Marvel movies. 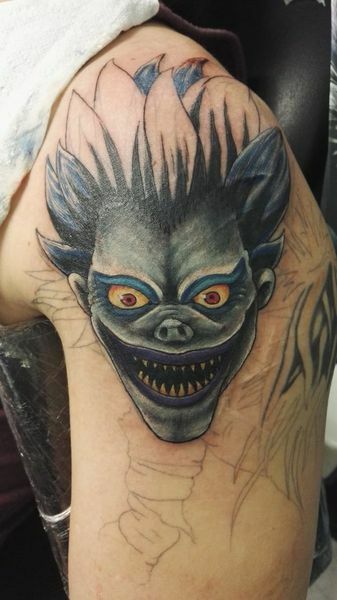 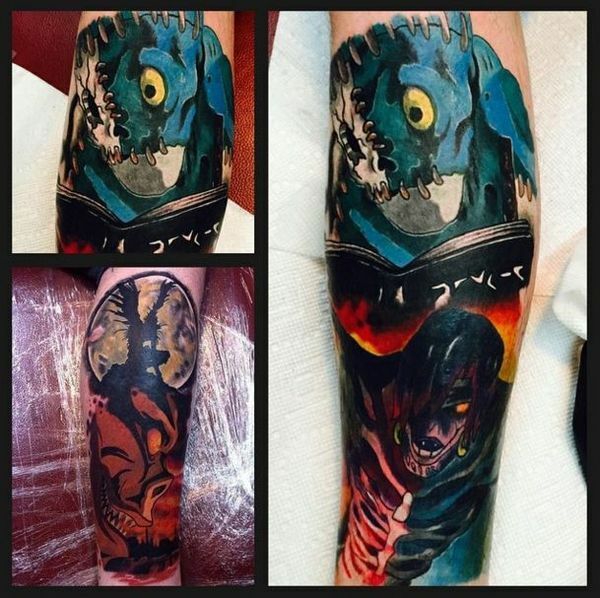 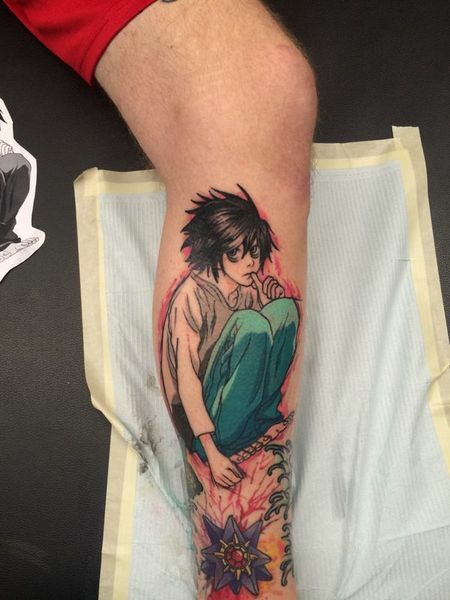 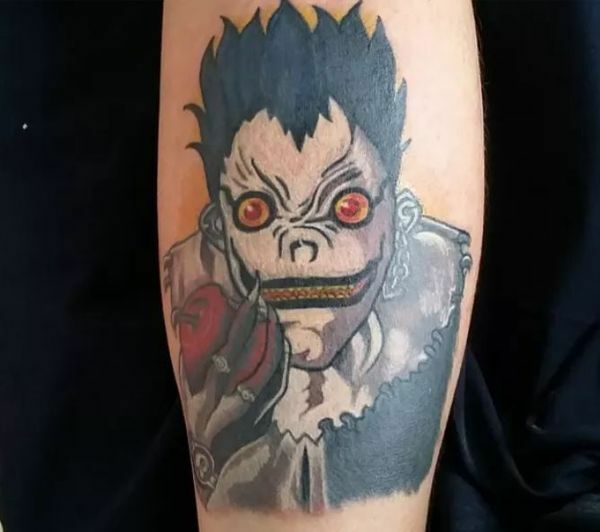 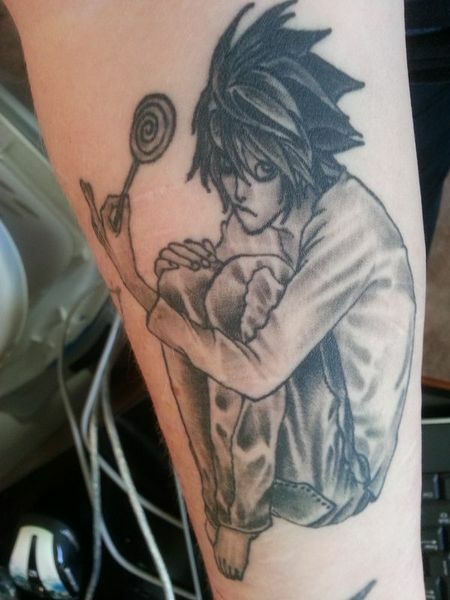 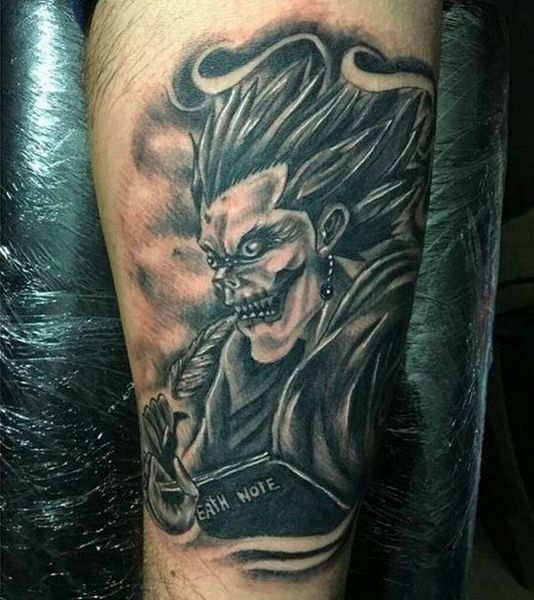 One popular theme is tattoos based on the Japanese manga and anime series known as Death Note. 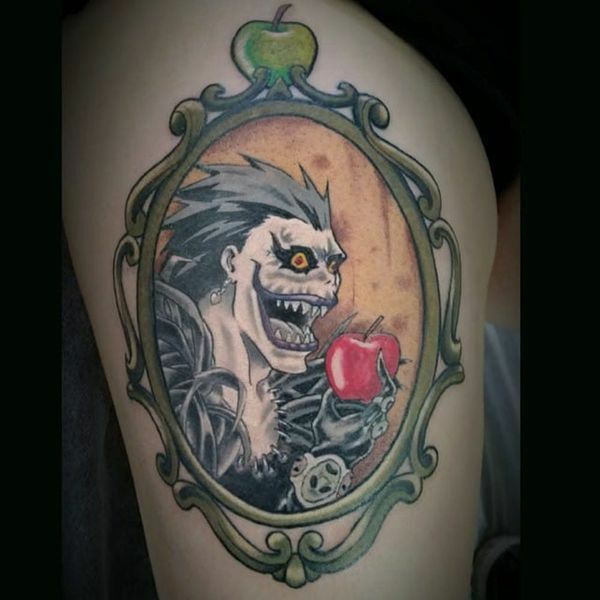 For those unfamiliar, the Death Note anime centers around a supernatural notebook dropped by Shinigami (“god of death”) Ryuk and picked up by a teenage student. 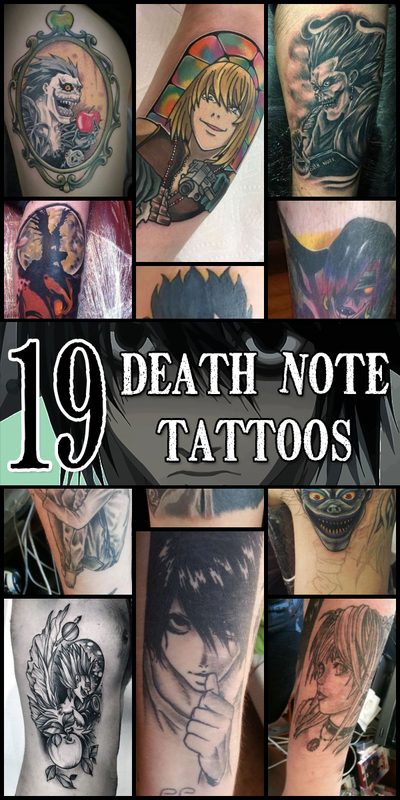 The book allows the user to kill a person by writing their name and thinking of their face. 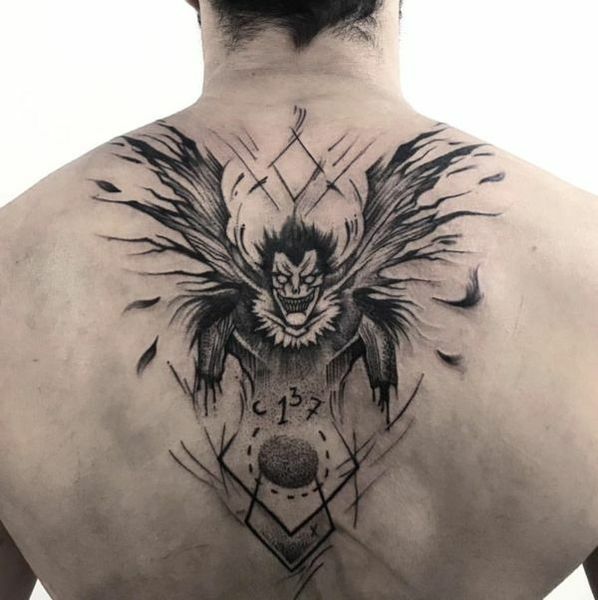 Every time a human dies, the lifespan of the gods are increased. 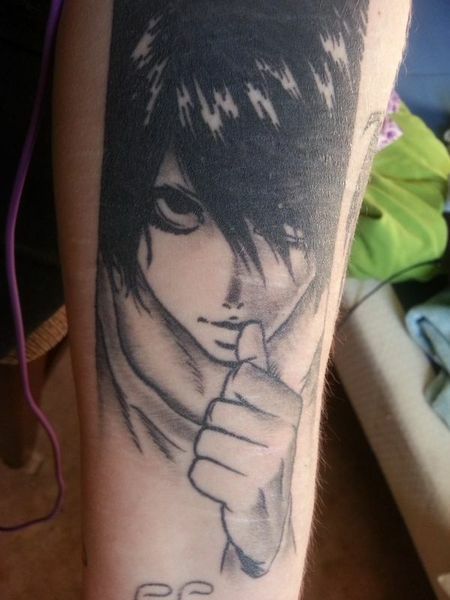 The protagonist who discovers the book, Light, uses it to end the lives of criminals in an attempt to create a crime-free world, causing law enforcement to seek to apprehend him. 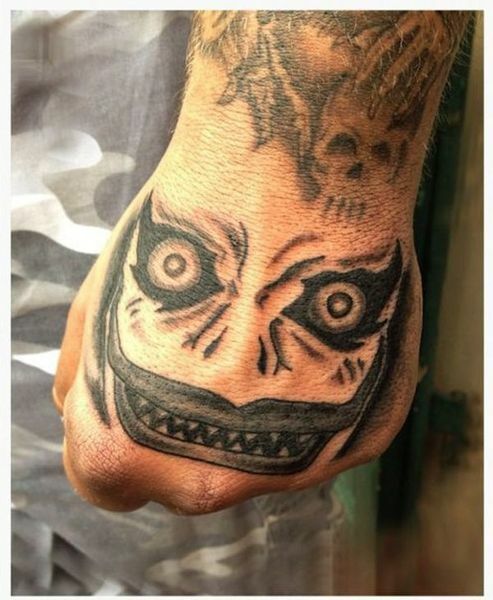 Basically, it’s awesome. 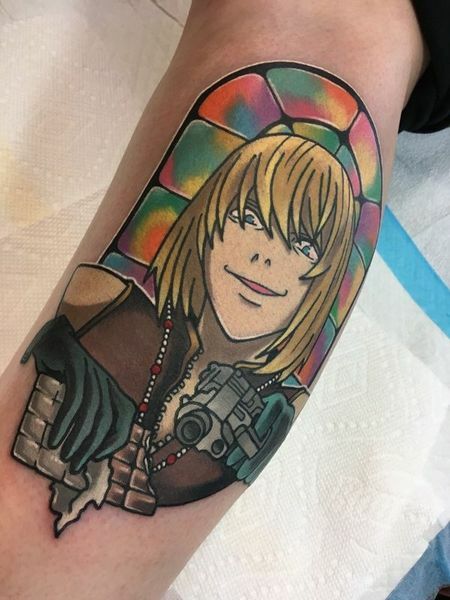 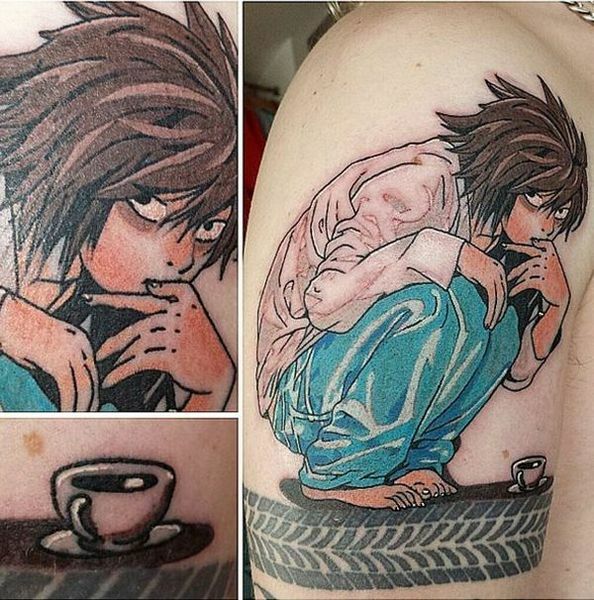 But you’re not here for anime fanboying, you’re here for Death Note tattoo ideas, so here are a few to get your creative juices flowing. 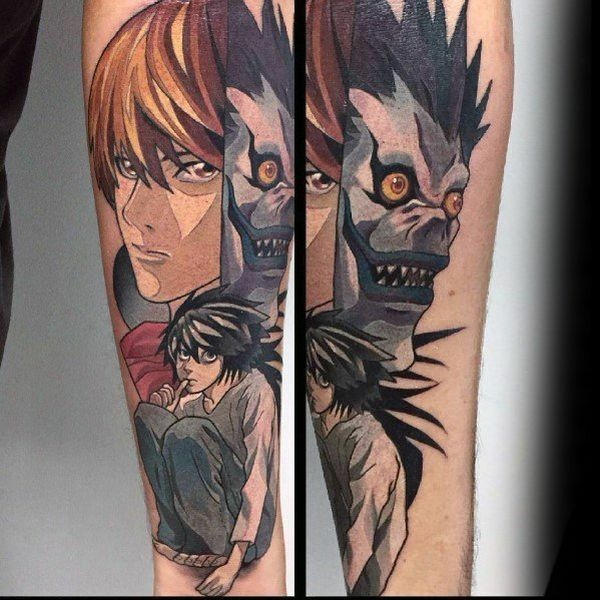 But if that’s not enough ideas – and if pictures are more your style – check out the designs below for even more Death Note tattoo ideas.